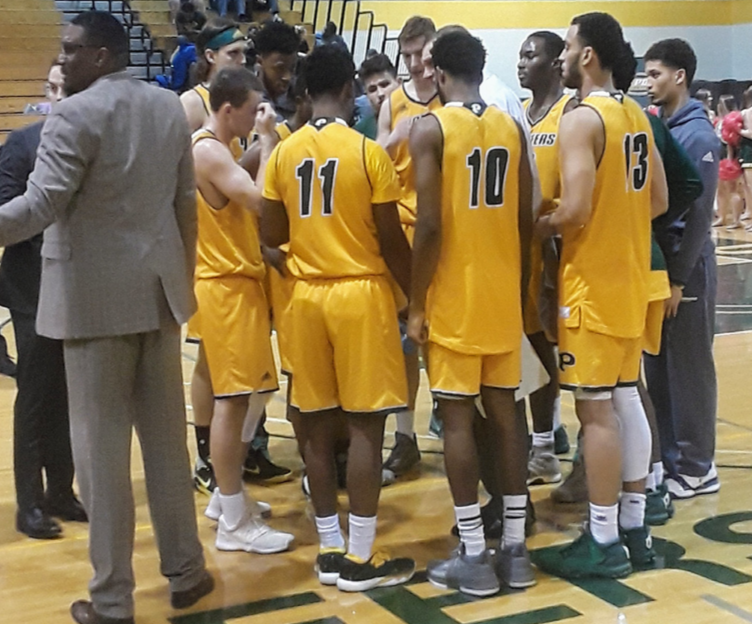 On Wednesday, Feb. 7 the men’s basketball team clashed with Molloy College at home, earning the Pioneers an over time win. The first half of the game was close; the score was 39-35 in favor of the Pioneers coming from their solid offense from senior guard, economics major, Kyle McLeggan when he posted 15 points and two assists. That wasn’t all the offense in the first half for green and gold, senior guard, business administration major, Aary Bibens put up 19 points with three assists. The second half offensively for the Pioneers was more sound as they only shot 29.2 percent from the field, but made up for it by converting on 12 of 14 attempts at the free throw line, eight of those coming from McLeggan. With just over eleven and a half minutes left in the game, the Pioneers were down seven points; however, McLeggan was fouled on a three-point attempt, earning him three shots from the free throw line in which he converted on. Shortly after, a dunk from Molloy College’s Justin Caldwell widened the margin. But, the Pioneers weren’t ready to give up; with 8:45 left in regulation, McLeggan was able to convert on a layup, which was followed by freshman, business administration major, Austin Kennedy’s layup and extra point free throw which evened the score at 59-59. After what seemed like a game of chess, regulation ended with a score of 69-69. As soon as over time started, McLeggan put the Pioneers ahead by two from a jumpshot. While regulation was neck and neck, over time was not as the Pioneers ended up winning with a score of 89-83. Following their win on Wednesday, the Pioneers traveled to Queen’s College. Sophomore physical education major, Jared Rivers scored 20 points, including 16 in the second half, but the Pioneers dropped a close one against Queens College, 69-66 on the road Feb. 10. Rivers filled the stat-sheet with 20 points, eight rebounds, and seven assists, along with 15 points from senior economics major Kyle Taylor-McLeggan. Despite the loss, the Pioneers remain in sole possession of fourth place at 8-6 in the league standings. The Pioneers return to action on the road on Valentine’s Day, Wednesday, Feb. 14 against University of the District of Columbia at 7:00 p.m. 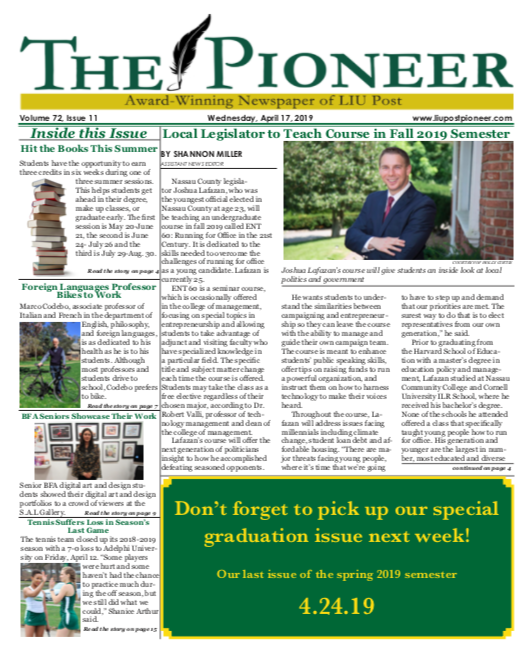 Interested in Advertising in The Pioneer?